New Media alumnus Rob Hussey points to this story about a proposal to tap the wind’s energy with “windstalks” rather than windmills. The idea is to harness the ability of a column made of piezoelectric material to convert the stress of bending with the wind into fossil-free electricity. 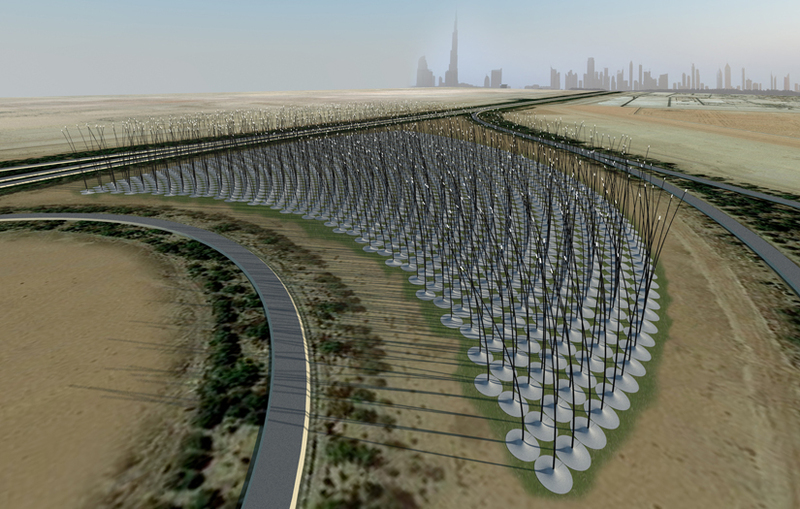 Unlike a battery of conventional wind turbines, this artificial prairie would produce no friction and minimal noise. And look a mite prettier than a giant metal turbine. 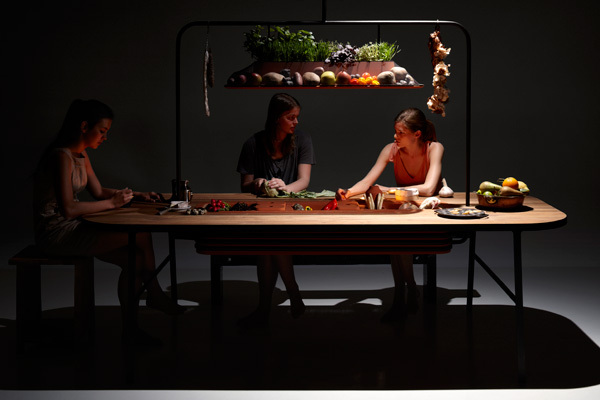 Imagine an apartment where kitchen waste provides electricity, your interactive bathroom mirror helps prevent disease, and mushrooms in your composter devour plastic bags. If you call yourself a twenty-first century design student, you should be studying this. Wind deadline is 18 May, requires “strong social media skills” and a laptop (sounds like an NMD student to me). Also two internships in the health sector. Volkswagon has unveiled a plug-in hybrid that gets 260 miles to the gallon and can go 20 miles on electricity alone. At 24 grams of CO2 per kilometer, the XL1 emits less than a third of the emissions of a 2010 Prius. You gotta feel for corporate polluters like BP. First people stop buying their stuff. Now banks aren’t giving them loans. But not to worry: the Department of Homeland Security has them covered. http://feeds.nytimes.com/click.phdo?i=4a789757de0e1bd810cb25cebc71312b via Byline Monsanto, the giant of agricultural biotechnology, has been buffeted by setbacks this year that have prompted analysts to question whether its winning streak is coming to an end. http://feeds.nytimes.com/click.phdo?i=4bace2ca10b06640e129403b82716628 via Byline Some lenders are taking a stand on practices like mining and deforestation that may be risky to their reputations. I say release a swarm of rogue phospholipids on the Deepwater Horizon and let ‘em barnacle it over. And let some loose on Tony Hayward while you’re at it. BERKELEY — In research that gives literal meaning to the term “power suit,” University of California, Berkeley, engineers have created energy-scavenging nanofibers that could one day be woven into clothing and textiles. These nano-sized generators have “piezoelectric” properties that allow them to convert into electricity the energy created through mechanical stress, stretches and twists. Is Vine turning the movie industry on its head (or at least on its side)?